To see some of Migration's video work, please visit our YouTube Channel. Migration Productions’ latest work, “A Wing and a Care,” opens a window onto the lives of Snowy Owls, Atlantic Puffins and American Kestrels, and introduces you to the men dedicated to their preservation and survival. 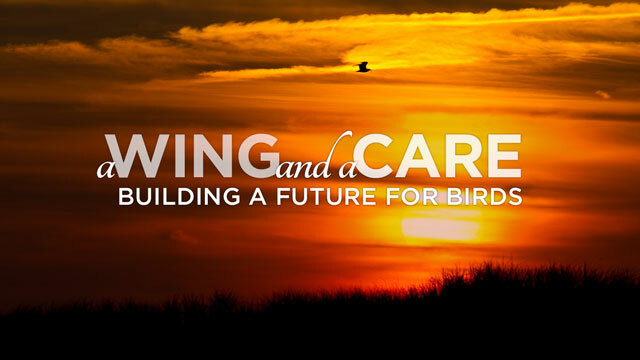 Visit the "A Wing and a Care" page for more information. "Epic Journeys" looks at three shorebird species—Red Knot, Piping Plover and Semipalmated Sandpiper—and the challenges these species face during each of their monumental annual treks. 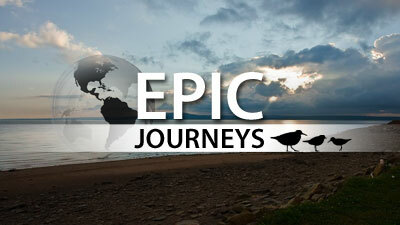 Visit the "Epic Journeys" page for more information and clips. 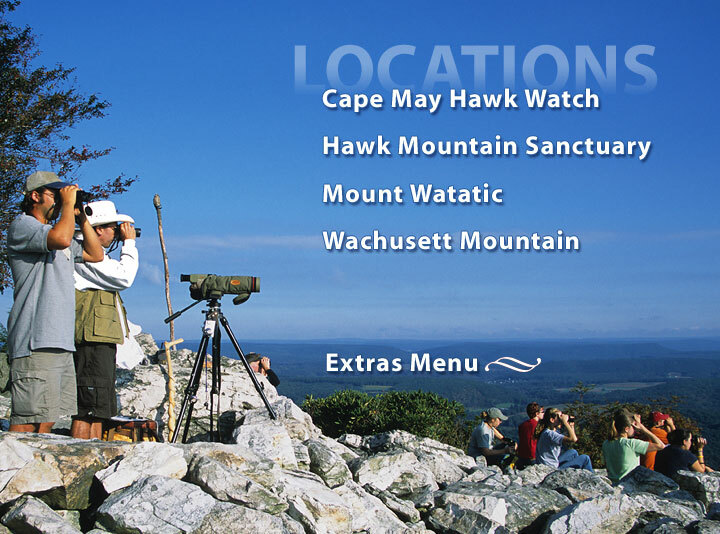 Hawk watchers are a different breed of birders, gathering in large numbers on mountaintops and rocky outcrops to observe the annual migration. “Looking Skyward” examines this tribal community and their fascination with birds of prey. Included are video footage of a wide range of raptors in flight (provided by Don Crockett), exploration of some of the prime locations for viewing in the Northeast, as well as interviews with Pete Dunne, Bill Clark, Laurie Goodrich and others. If you are interested in presenting “Looking Skyward” on your own at a meeting, presentation or festival, please contact us for details about a public performance license that will permit you to present a purchased DVD at your event. Retailers, please contact us to inquire about wholesale purchase. 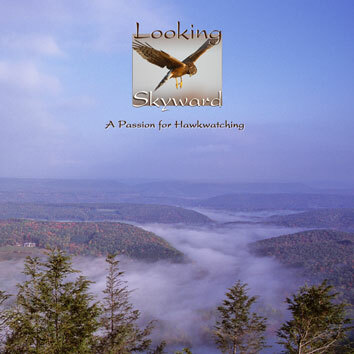 “Looking Skyward: A Passion for Hawkwatching"
Approximate running time: 17 min. 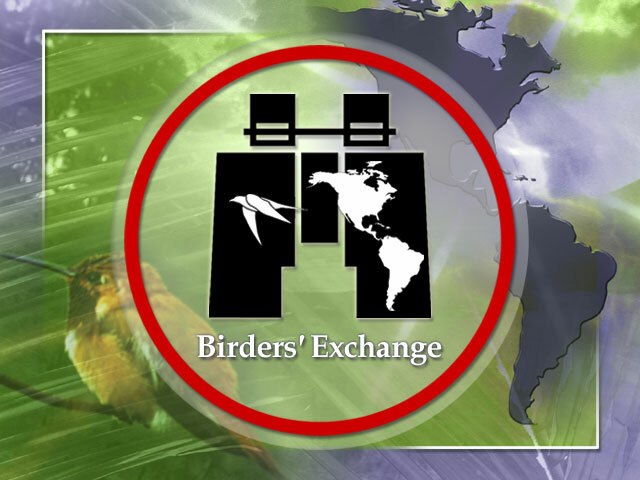 The Birders’ Exchange Video is a video brochure designed to explain how people can help with donations of used equipment (binoculars, tri-pods, scopes, cameras, etc.) that in turn can be sent to people in Central and South America that have little or no equipment. The video explains how the program was started, how you can help, who receives the donated equipment, and why it’s so important that we help with such a project. 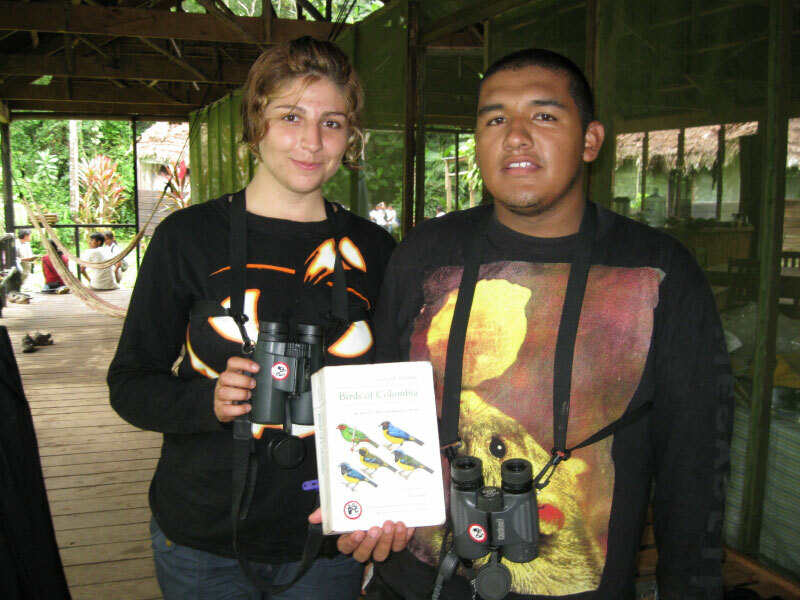 The Birders’ Exchange program is run by Betty Petersen of the American Birding Association. For more information visit Birders’ Exchange.